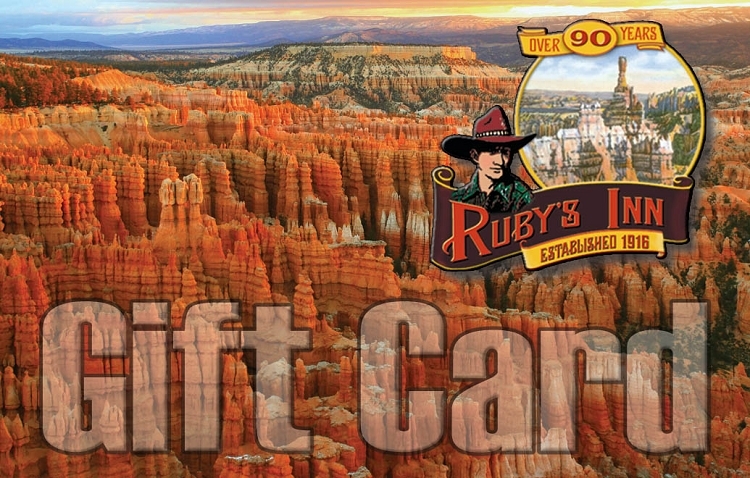 Give the gift of a Ruby's Inn Gift Card! We are pleased to announce the option for Gift cards in store or online. Please note that all funds processed will be applied the gift card. For Example: If you purchase a $25 Gift card and are charged $3 for Processing~ the total on the card would be $28.